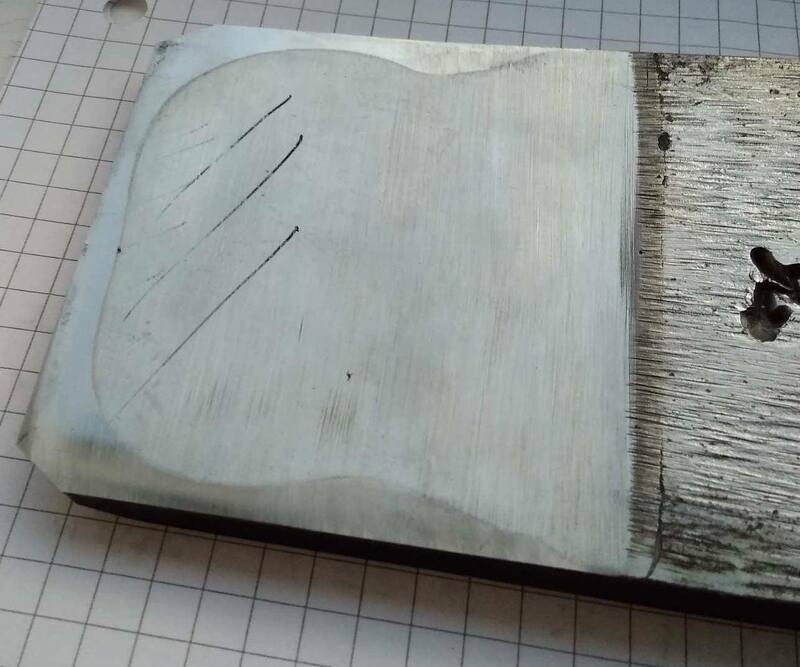 How can I salvage the ura on my japanese plane blade? I bought a Japanese plane a few years ago, and didn't really spend a lot of time researching before I started using and sharpening it. Now that I have a little more time for woodworking again, I unpacked the plane and noticed that the flat part of the back (ura?) of the plane blade is very large compared to 'model' photos online. Additionally, when I try to flatten the back, the left-most and right-most part of the edge doesn't get sharpened, as the back must be a bit convex? Can I fix these two issues somehow? While googling I found some references to 'tapping out' the blade but I'm not quite sure how to proceed or whether it can even fix my problem. Ideally I'd like a link to a comprehensive guide or similar. Here's a photo of my blade (ignore the sharpie lines). This is the back of a 'model' blade (https://brianholcombewoodworker.com). the flat part of the back (ura?) of the plane blade is very large compared to 'model' photos online. This isn't really an issue, or at least in practice it doesn't have to be. 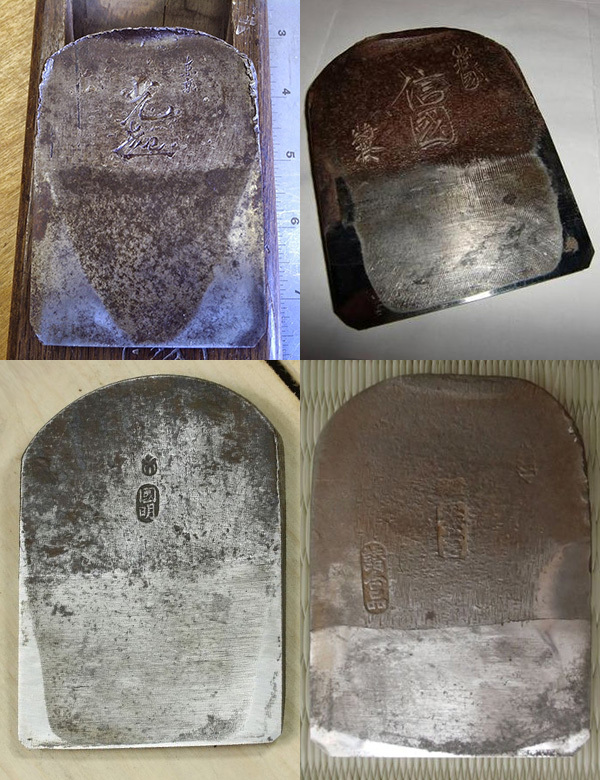 The purpose of the hollow, the urasuki, as you know is to reduce the time and effort required in working the flat of the iron during sharpening (and in Japanese irons the steel on this part of the iron is generally very hard indeed, so it takes quite some effort to abrade). When newly formed the hollow is generally exactly as shown in the 'model' example in the Question, perfectly symmetrical and uniform. But with use the iron has to be specifically maintained for the urasuki to remain this way and (perhaps surprisingly) this was not always done. This topic is covered in this post on Wilbur Pan's site, The historic record. As you can see the page includes a photo of Toshio Odate who it would appear was not particularly concerned by this, so I don't think you need to be either. Additionally, when I try to flatten the back, the left-most and right-most part of the edge doesn't get sharpened, as the back must be a bit convex? If the extreme left and right of the edge isn't being abraded I think it's telling you that your sharpening media (or the surface that supports it) aren't dead flat and that's what you need to look at. Once it/they are dead flat as you sharpen the middle of the edge will wear away and eventually the two ends of the edges will start to be abraded again. Not the answer you're looking for? Browse other questions tagged hand-tools plane or ask your own question. Stanley Bailey No 4 Plane - Level Cap / Cam Wrong? 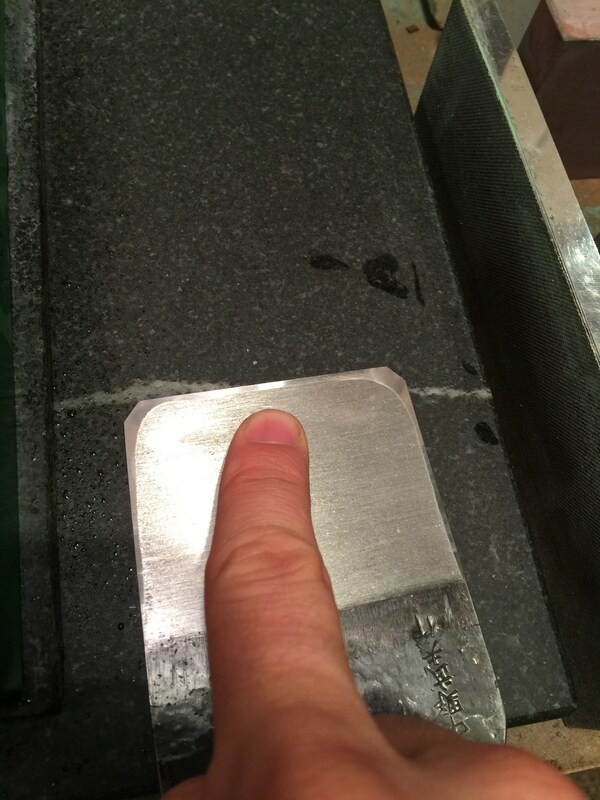 Can I use a 12” granite block for fettling a #5 plane? Is this plane any good for anything? How to plane the end of a through tenon without damaging surrounding area?